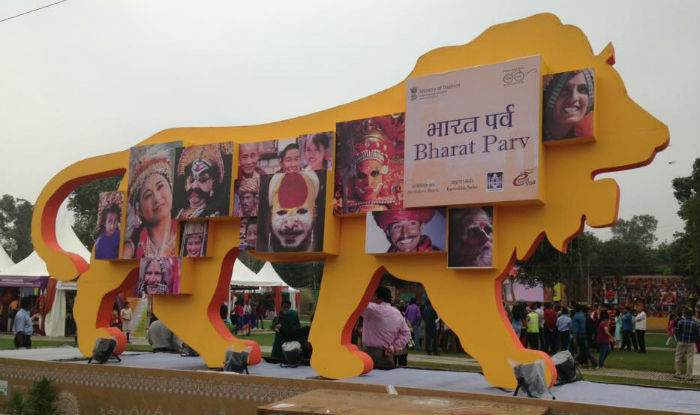 As a part of the Republic Day celebrations, the ‘Bharat Parv’ event is being organised by the Government of India at the Red Fort, New Delhi from January 26 to 31. The rich cultural and ethnic heritage of India, including cuisine and handicrafts from across the country, is being showcased here as part of the festival. ‘Bharat Parv’ is being organised with an aim to generate a patriotic mood, promote the rich cultural diversity of the country, ensure wider participation of the general public and to popularise the idea of ‘Ek Bharat, Shreshtha Bharat’. The Ministry of Tourism has been designated as the nodal ministry for the event, the highlights of which include display of the Republic Day Parade Tableaux, performances by the Armed Forces Bands (static and moving), a multi-cuisine food court, Crafts Mela, cultural performances from different regions of the country and a photo exhibition by the Ministry of Information and Broadcasting. The cultural performances include choreographed folk/tribal dances and music from across the country arranged through the North Zonal Cultural Centre as well as performances by cultural troupes from the different states/UTs of the country. The food court will have 50 stalls set up by the states/UTs, National Association of Street Vendors of India (NASVI) showcasing food from different regions as well as by the Institutes of Hotel Management and Indian Tourism Development Corporation (ITDC). The Crafts Mela, with 50 stalls, will showcase the diverse handicrafts of the country, arranged by the state governments and Ministry of Textiles through the office of the Development Commissioner of Handicrafts. There will be 11 theme state pavilions where each state would showcase its achievements and initiatives, tourism products and destinations etc. The Ministry of Information and Broadcasting is also setting up a photo exhibition on the theme, ‘Mera Desh Badal Raha Hai, Aage Badh Raha Hai’ (My Country is Changing, is Progressing). The big attraction of the event is the Republic Day Parade Tableaux which will be stationed at the venue for the duration of the event. The event will be inaugurated at 5 pm on January 26 and will be open to the public from 5 pm to 9 pm, on January 26 and from 12 noon to 9 pm from January 27 to 31. Identity proof is necessary for entry.